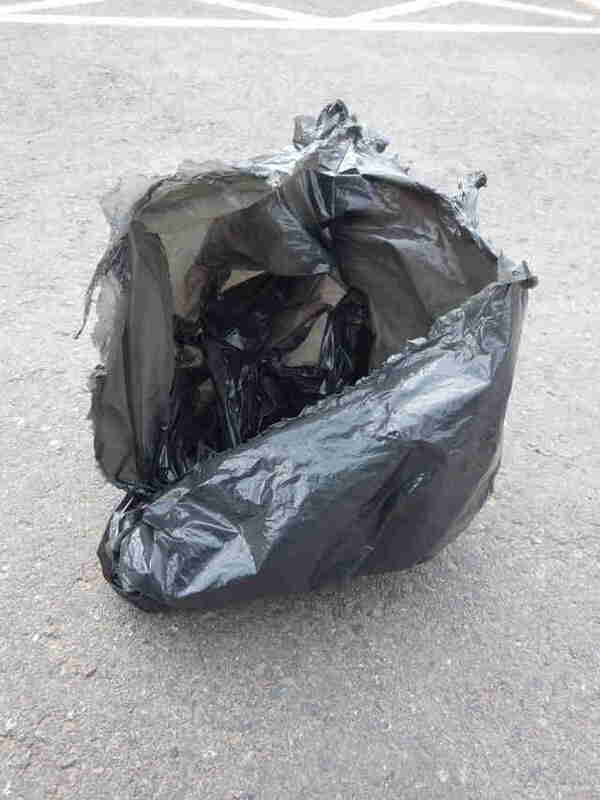 When a trash bag was left outside a stretch of shops in Birmingham, England, no one thought anything of it at first — until they noticed the bag was moving. A group of people went over to investigate, and found a mother cat and her three kittens snuggled up inside the bag, very confused and in need of help. The kittens appeared to be only around 4 weeks old. One of the people who discovered the kittens quickly called the RSPCA, and a small crowd gathered to keep the kittens company while they waited for help to arrive. Boris Lasserre, an inspector with the RSPCA, got the call and headed out to collect the little family — but before he arrived, a member of the crowd grabbed one of the tiny kittens and ran away with him. By the time Lasserre got there, the kitten was long gone, much to the distress of everyone involved. Since no one knew the person who took the kitten or had any idea where they could have gone, Lasserre had no choice but to take the mother cat and the remaining two kittens with him, and hope that whoever stole the kitten would eventually realize the error of their ways and return him. 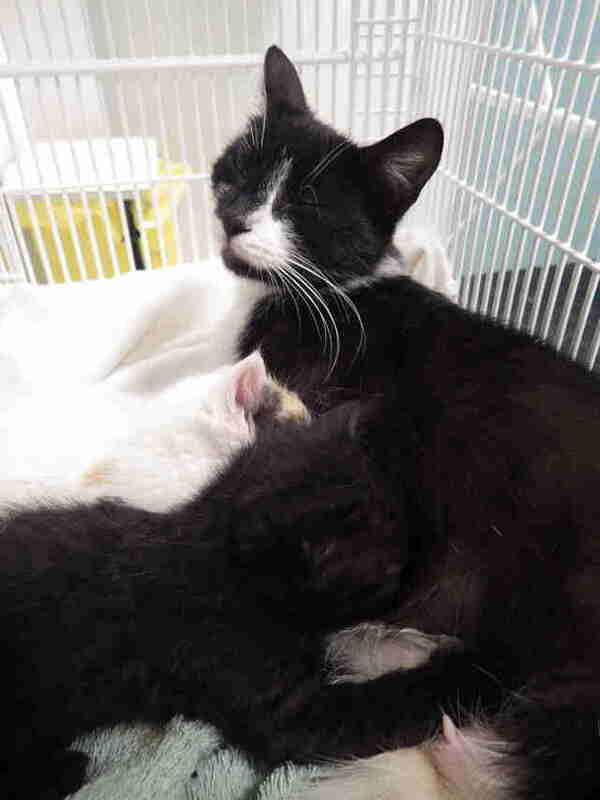 The little cat family was quickly rushed to the RSPCA Birmingham Animal Hospital. 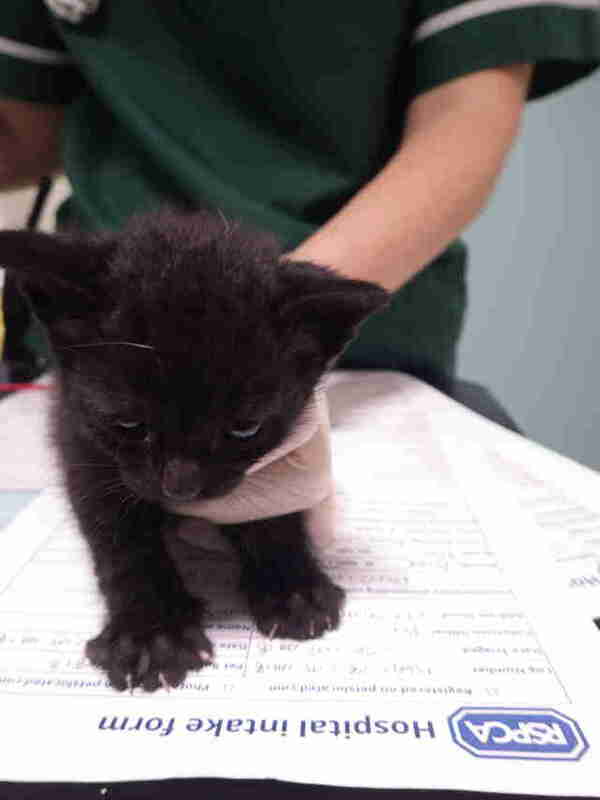 The vet who looked them over determined that they all suffered from fleas, worms and eye infections — making their rescuers even more concerned for the missing kitten. In the meantime, the mother cat and her two kittens are doing incredibly well, and they will all go off to find loving forever homes once they are old enough. 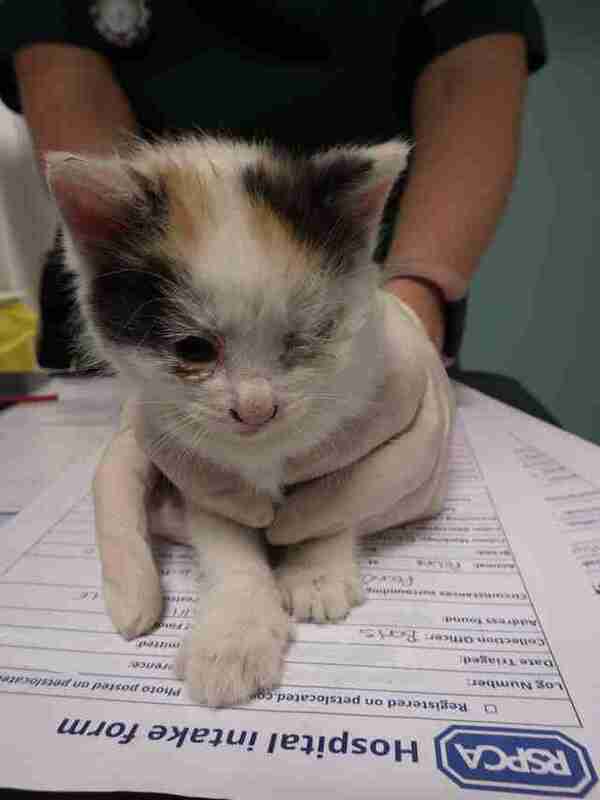 If you have information about the missing kitten, please contact the RSPCA at 0300 123 8018.